Megeve is a town and ski resort in the Alps just south of Sallanches and west of Chamonix-Mont-Blanc. 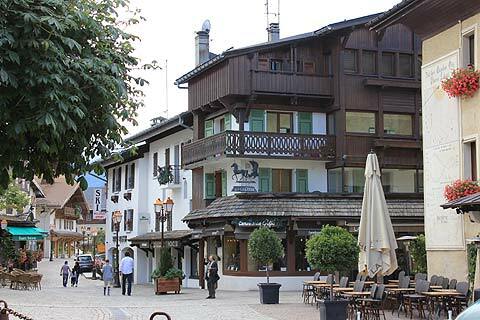 Historically an important leather tannery town, Megeve's role as a ski resort was established at the beginning of the 20th century by the Rothschild family. It is now considered by many to be one of the most beautiful ski-resorts in the world. ...In 1916 the Baroness de Rothschild, disenchanted with the famous Swiss ski resort of St Moritz, decided to build a French ski resort of equal prestige. 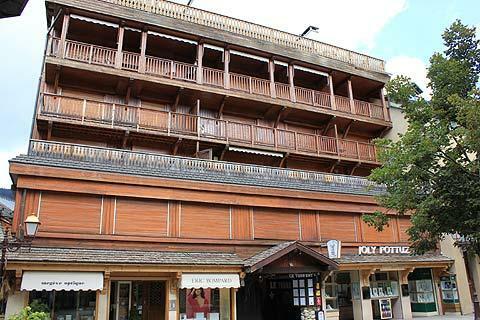 Megeve was selected and the Palace Hotel Mont d'Arbois was built and opened in 1921. Francois Parodi, a ski champion and son of an important family of Swiss hotel owners designed the town. France This Way comment: while some towns in the Alps have come into being purely as ski resorts, Megeve is a 'real' town with a charming centre and lots of 'chocolate box' houses. The main square is dominated by its church, which dates back to the 14th century, and perhaps even earlier than that, and is built in the late Gothic style. 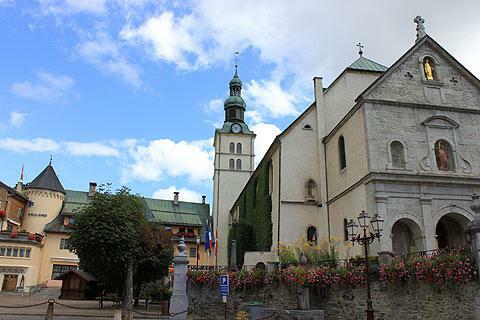 Many of the houses in the old centre of Megeve are medieval in origin and from the main square you can wander through the attractive narrow streets, occasionally coming upon fountains or the lavoir (communal washing areas) on Rue d'Arly. 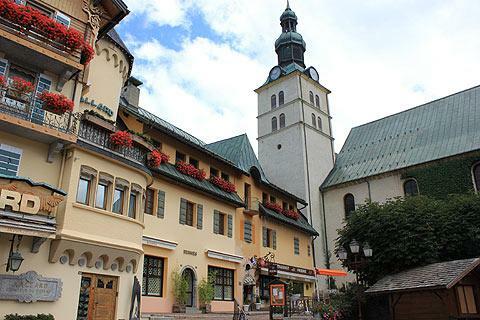 As well as the older buildings in Megeve the town also has an architectural heritage dating to the 20th century following its 'discovery' and development as a prestigious ski resort. 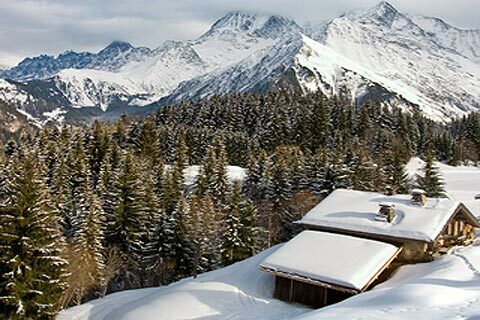 The architect Henry Jacques le Même developed a chalet style inspired by farms in the region and he came to be known as the inventor of the ski-chalet style as we know it today. His style defined the growth of the ski-station, its chalets as well as its hotels and schools and three of his chalets - La Croix des Perchets (1928), le Grizzly (1932) and the Cairn (1941) - are now classified historic buildings. 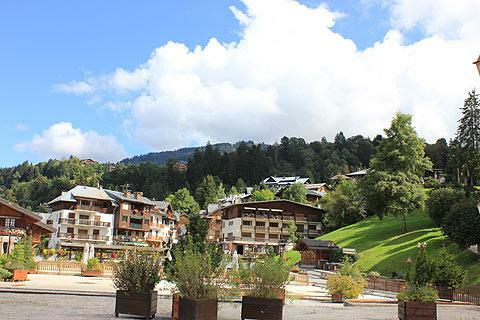 Megeve has been awarded the coveted 4 flower award for village in bloom. It is the first commune situated above 1000m of altitude to be awarded this Prize as obviously gardening at this altitude becomes much more difficult. There are numerous possibilities for skiing in and around Megeve, with more than 450 km of pistes close by - all with great views, many of them of Mont Blanc. The main ski areas are on Rochebrune with Cote 2000 and Mont Arbois, the two main mountain ridges that stand above the town, while other smaller ski areas found around Combloux and La Giettaz. Together they form part of the ski domaine known as 'Evasion Mont Blanc'. In all the resort has more than 200 pistes covering more than 400 kilometers, and more than 100 chairlifts etc to reach them. Between them these offer all levels of skiing from learner slopes to challenging black run descents. 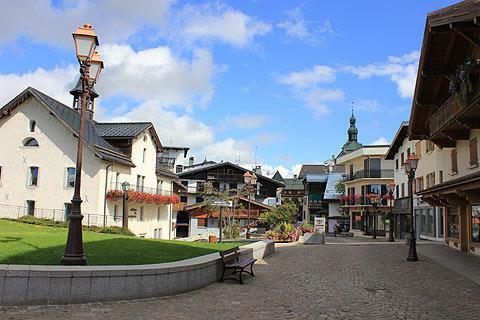 Although quieter in the summer months, Megeve is a pleasant resort to visit all year round. Pretty much every sport is available, including mountain climbing, balloon trips, paragliding, mountain climbing, golf...there are various attractive walks for the less experienced that will help you see the best of the local countryside, such as the Javen Lake - ask at Megeve tourist office. A popular walk is the Calvary Trail. 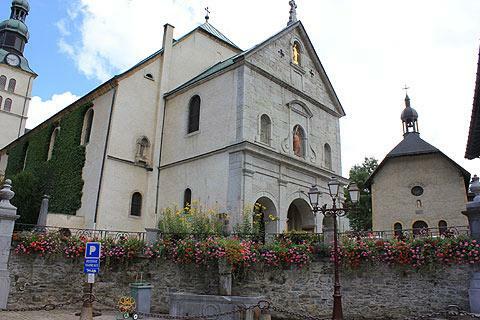 This is a walk up the lower slopes of Mont d'Arbois which passes 15 chapels and oratories. These chapels mark the Stations of the Cross, and represent the route that Jesus took on his way to be crucified. The chapels and oratories were built between 1840 and 1878, each chapel is different and they borrow a range of styles and house lots of statues, frescoes and trompe-l'oeil. The Cross of Saint Michael is on the Calvary. As well as admiring the religious buildings the route has splendid views of the valley of Arly and the foothills of Mont Blanc. At the Museum of the Upper Arly Valley you can learn of the life and history of the village, and peasant life here in centuries gone by. There is also a potager with medicinal and and culinary plants which grow in the mountains. In the winter of 1923/24 King Albert I of Belgium and Queen Elizabeth were guests at the Palace Hotel Mont d'Arbois and Megeve's international reputation was made. The jet set arrived. Other famous visitors included the Princess of Bourbon Parma and the Lacoste family. In 1938 a fashionable bar called Le Cintra opened in the Panorama hotel and the Paris jet set became frequent guests with Marcel Pagnol, Tino Rossi and Michele Morgan amongst them as well as singers such as Edith Piaf. After the war the manager of the Mont Blanc hotel, Georges Boisson, asked his Parisian friends to come and 're-look' the hotel. Jean Cocteau re-named the bar 'Les Enfants Terrible' and decorated it so well that it quickly got an international reputation. Following an article in Paris Match many famous people came for holidays. In 1952 'Les Liasions Dangereuses' with Gerard Philippe and Jeanne Moreau was filmed in the hotel Mont Blanc. In the film 'Charade', Audrey Hepburn meets Cary Grant at the Megeve ski resort. Another famous bar called l'Equipe opened in Megeve and this along with 'Les Enfants Terrible' attracted Josephine Baker, Juliette Greco, and many other famous people of the day. In 1954 King Farouk, Ali Khan and Rita Hayworth visited. Georges Pompidou also became a frequent visitor. Almost all activities in this region are related to the beautiful scenery, and outdoor activities that allow visitors to appreciate the scenery. 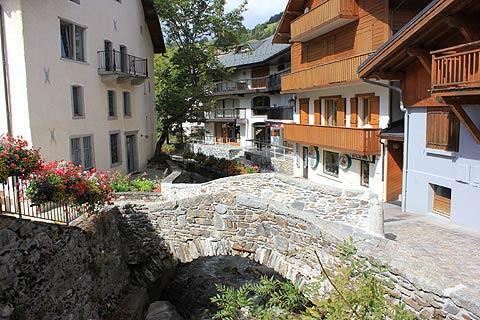 Places you might like to visit nearby include Saint-Gervais-les-Bains and Sallanches, and Sixt-Fer-a-Cheval is a very pretty village about one hour drive from here. The most important ski resort in the region near Megeve is Chamonix (about 40 minutes drive).